Let’s talk about Risk variants. Risk is a classic board game that many people love to play. It is easy for beginners to learn, but it takes a while for players to master. 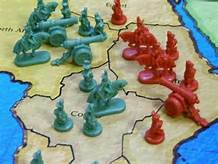 While we are used to the original rules of Risk by now, sometimes we can’t help but think if there are some custom Risk variants and house rules that we could implement which could make our experience of playing Risk more enjoyable. Here is a list of variants of the game that you may want to consider playing. See also Risk Godstorm. One complaint that players have against Risk would be the length of games. Risk is a board game that can be typically played around 90 minutes but is also known for being played for hours and even a few days. Vendetta happens to be to be a variant that helps solve the game length problem. Vendetta is essentially one of the missions that a player undertakes in The Revised Version of Risk and is applied to all players. In Vendetta, a card is drawn randomly and secretly by each player at the start of the game. If a player draws his or her own color, that player must reveal that card and then draw again. The game continues just as it is normally set up, but the game ends once one player is knocked out. Whoever drew the color of the eliminated player will reveal that card, and regardless of which player took down the eliminated player, the card holder will be declared the winner. This variant encourages players to play Risk more carefully as they shouldn’t be so quick to weaken their opponents. This variant preferably works best with 5 players and takes no longer than 2 hours to finish. The use of Action Cards, as they are seen in the later editions of Risk, can have an affect on the outcomes of battles and can even provide more reinforcements for players that really need the help. As a result of obtaining extra armies, players are allowed to gather Territory Cards, but with the inclusion of Action Cards, the element of chance is added. Risk variants that include Action Cards will encourage players to engage in more battles and will involve the element of misdirection. One Risk variant that enhances the abilities of the Action Cards would be One World Dominion, where there are no separate Action Cards, but rather the Territory Cards have the actions printed on them. Players are forced to choose between harassing their opponents and turning these cards in for larger armies. However, the good thing here is that players can play these cards at any time. One World Dominion is known for featuring realistic scenarios on their cards like the National Guard needing to come in for a rescue mission, the United Nations are not being able to support a player’s dreams of conquering at particular times, and players were not being able to improve their armies because of economic trouble. Rather than having players choose which countries they want to put their armies in, Territory Cards are dealt out and players are required to put 1 army in each territory. Their armies must then be distributed to the remaining countries. House rules like these allow the initial set up of Risk to be sped up. Variants that implement randomized set up similar to the noted example place an emphasis on the players preserving and consolidating their empires through hard work and the extended use of strategy. 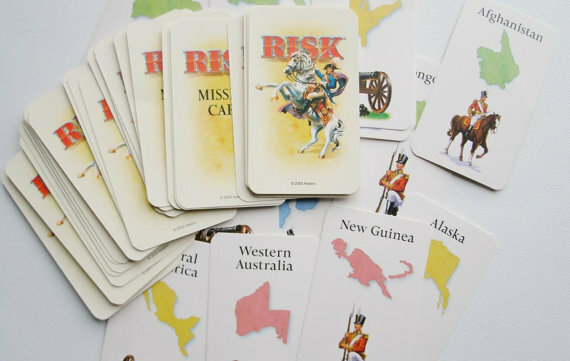 The earliest versions of Risk board game actually used no cards, so, therefore, no card armies can be used in this variant. A stronger emphasis is placed on the use of strategy and diplomacy for all players though it will take more than 90 minutes to finish playing under these house rules. Knowing that there are no card armies to turn to for help, players constantly end up forming alliances to fight against the player who has the most armies on the board. In Risk variants where there are no card armies to use, it will be difficult for a single player to gain a decisive advantage early on in the game. In this variant players are allowed to set aside some of their armies to make up a reserve pool. At the start of his or her turn, when a player receives armies, that player can place one or more armies in the reserve pool, and on the following turns he or she can use as many of these reserves as the player desires, along with any other armies the player receives on a turn. For example, if one of a player’s countries is under attack, the player can place at least one reserve army in that country on a turn. A sure way of keeping the length of Risk games down to a reasonable amount of time would be to play under the house rule of having only a certain number of turns to work with. Typically games of Risk that are played under this house rule go for around 20 to 30 turns. Knowing how many turns he or she has, the player will have to be more careful in determining when he or she can attack, defend or regroup. 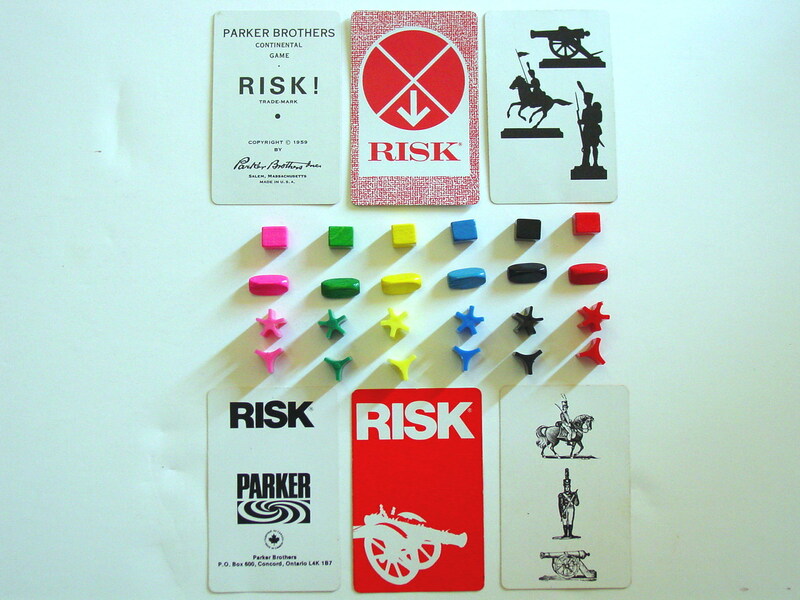 Some variants of the Risk board game do not even involve playing on a Risk game board. 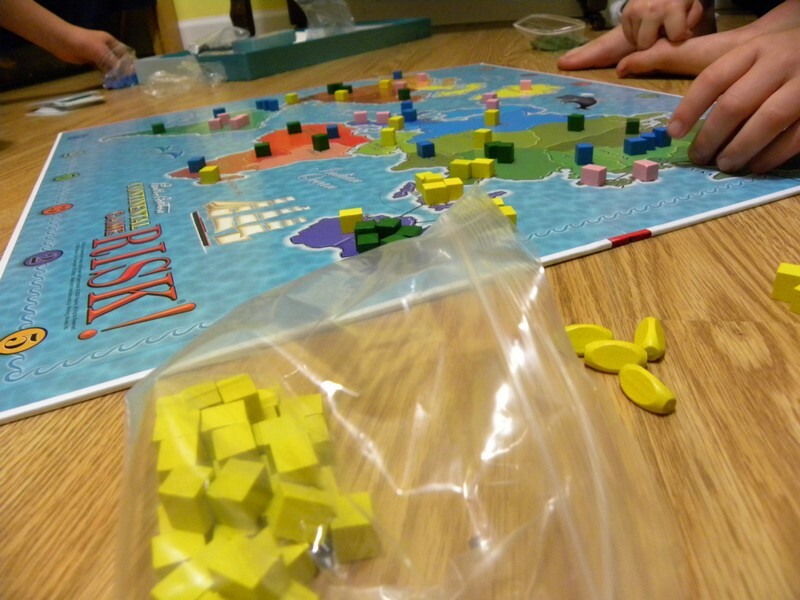 Instead Risk can be played on an actual map of the world, and rather than trying to conquer the entire world, players can simply play to specifically take over states, provinces of countries within a territory, moving their armies between cities and designating a capital of their custom empire. With these house rules, players can create their own territories that are sure to become relevant, such as playing for only a combination of North America, South America, and Australia.